This is the second book that I am reviewing for this blog. The first can be found by clicking this link: Book Review: What is a Healthy Church Member? A good case could be made out for believing that ‘repentance’ is one of the least used words in the Christian church today. In a world that will no tolerate the mention of sin, and in churches where it has been defined only in sociological terms, the biblical teaching on repentance has inevitably been ignored. Few better guides have existed in this or any other area of spiritual experience than Thomas Watson. He was a master of both Scripture and the human heart, and wrote with a simplicity and directness that keeps his work fresh and powerful for the 21st Century. Thomas Watson, minister of St. Stephen’s, Walbrook in the 17th Century, was one of the leading spiritual guides of his day. He was the author of A Body of Divinity, The Ten Commandments, The Lord’s Prayer, The Beatitudes, and All Things for Good. “It is a great duty incumbent upon Christians solemnly to repent and turn unto God.” With this phrase, Watson kicks off a powerful discourse on what repentance is, what repentance is not, the nature of true repentance, an exhortation to repent, the powerful motives to repent, reasons for speedy repentance, the comfort repentance brings, things standing in the way of repentance, and lastly some means for repentance: serious considerations and prudent comparison. That is basically the outline of the whole book. So, let me briefly touch on these. “Repentance is a grace of God’s Spirit whereby a sinner is inwardly humbled and visibly reformed.” Repentance consists of six ingredients: sight of sin, sorrow for sin, confession of sin, shame for sin, hatred for sin, and turning from sin. Each of these must be present in repentance. Sorrow for Sin: An inward sorrow from the heart and for the root of sin, the heart! Godly sorrow is ingenuous. A sorrow for the offense rather than for the punishment. A person should grieve for sinning against that free grace which has pardoned him. Godly sorrow is trustful. It is mixed with faith not despair. Godly sorrow is a great sorrow. “Sorrow for sin should be so great as to swallow up all other sorrow… The Christian has arrived at a sufficient measure of sorrow when the love of sin is purged out.” Godly sorrow in some cases is joined with restitution. Repay what you have wrought, either to God or to man. Godly sorrow is abiding. It is habitual. Confession of Sin: It must be voluntary. It must be with resentment. It must be sincere. It must paralyze sin. It must be done by charging our nature, not another for our sin. Sin must be confessed with all its circumstances and aggravations. Confess sins against knowledge, grace, vows, experiences, judgments, and so on. 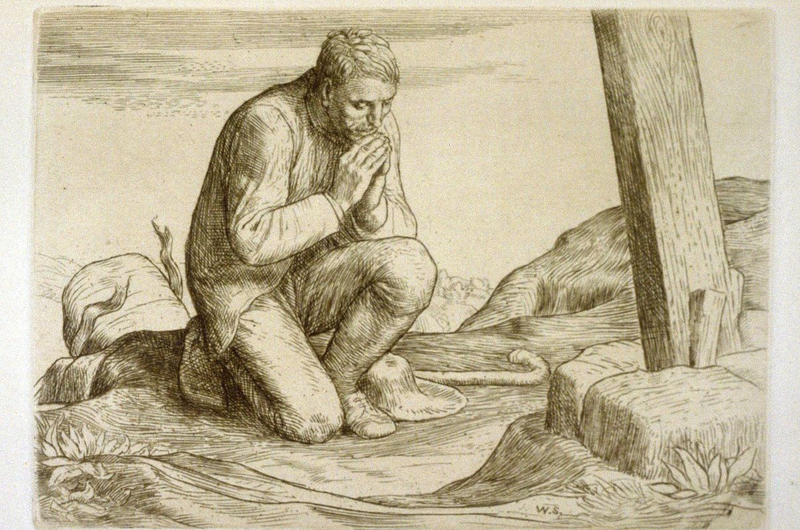 In confession, we must so charge ourselves as to clear God. It is not God’s fault that we sin, for he is righteous. Confess sin with the purpose not to act them again. Shame for Sin: Every sin makes us guilty. In every sin, there is much unthankfulness, which should be shameful to us. Sin makes us naked. Our sins have put Christ to shame. We sent him to the cross. Sin is folly. Hatred for Sin: A man’s spirit must be set against sin. It must also be universal in respect of the faculties and of the object. Hatred of sin is against all forms of sin. Oppose sin in others too. Turning from Sin: It must be a turning from sin with the heart. Turn from all sin. Turn from sin and then turn to God. Do not return to sin. Repentance is necessary (Lk 13:5). It is necessary for all people (Acts 17:30). It is necessary for all sins. Sorrow and melting of heart fits us for every holy duty. It subscribes to God’s will. Repentance yields mercy for the soul. It ushers in blessings great and small. It makes joy in heaven (Lk. 15:10). Repent, for the day of judgment is coming. Now is the season of repentance, and everything is best done in its season. The sooner you repent the fewer sins you will have to answer for. The sooner we repent, the more glory we may bring to God. It is dangerous to put off repenting for sin. Your sins are pardoned if you repent. God is faithful to forgive and cleanse you. Conscience will now speak peace to you. You can go to God boldly in prayer. Being ignorant of your need to repent is an impediment. Presuming upon God’s mercy is an impediment. Taking pleasure in sin is an impediment. The fear of being corrected for your sin is an impediment to repentance. A love for the world is also an impediment to true repentance. Consider what sin is. It is a recession from God. It walks contrary to God. It is an “injury” to God for it violates his law. Consider the mercies of God. God has been holding you up while you are slipping. Look at the blessings of God in your life! Determine to leave sin. Labor for faith. Faith breeds union with Christ. Conform to His image by fighting sin and pursuing righteousness in faith. Overall, this is probably the most helpful book, other than the Bible, to help the Christian fight sin. True repentance is something that will not come easy. The whole Christian walk is one of labor and difficulty, but God will carry you through it all. A recognition of sin and what it does should lead a person to their knees before God to repent. “If we confess our sins, he is faithful and just to forgive us our sins and to cleanse us from all unrighteousness” (1 John 1:9).